Hosts India clinched the Junior World Cup Hockey title by beating Belgium in the grand finale played out on Sunday evening at the Dhyan Chand Stadium in Lucknow. Gurjant Singh kicked off India's successful campaign at the 8th minute of first half by scoring a goal against Belgium. 21-year-old Gurjant hails from Haryana and traditionally plays at forward position. Gurjant starred in Chandigarh’s title win in the U-17 School Nationals in Chandigarh and U-19 School Nationals played in Madhya Pradesh apart from featuring in Chandigarh’s title win in the U-17 Nehru Cup played in Chandigarh during the later part of the last decade. Later Gurjant also guided the Punjab U-21 team to the title in the U-21 nationals in 2012 before shifting his base to Haryana. Gurjant was also a part of the Indian junior team which toured Europe earlier this year and has played for the Oil and Natural Gas Corporation (ONGC) on a scholarship. 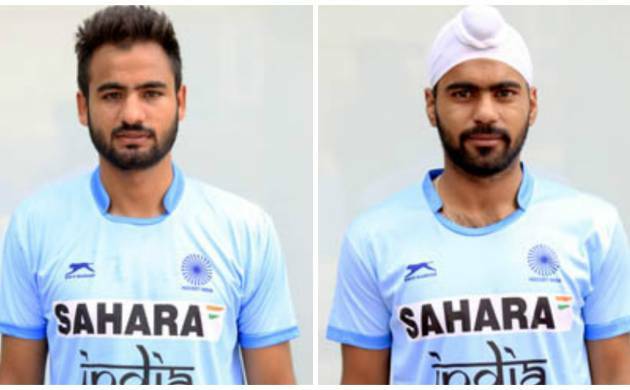 Simranjeet Singh shot gave India reason to cheer when he scored a goal against Belgium at 22nd minute in the first half, strengthening India's position in the game. Rising star in India's Junior Hockey team, Simranjeet comes from Punjab's hockey team. The 20-year-old plays at the midfield.